Welcome to the community of Crest View, located in the city of Sevierville, Tennessee. Start your trip off right by taking a helicopter tour of the area. There is no better way to familiarize your self with the area than looking down upon it from a helicopter! After checking out the area from above, head to the world-renowned Smoky Mountains National Park. This famous park features majestic mountain ranges and spellbinding hiking trails. The mountain ranges in the park offer some of the best-unbridled nature views in the area. If you or your fellow vacationers need some retail therapy while vacation is sure to visit the Tanger Outlets. The outlets have a variety of stores offering designer goods at a discounted rate. This community also features a variety of gift and souvenirs shops. 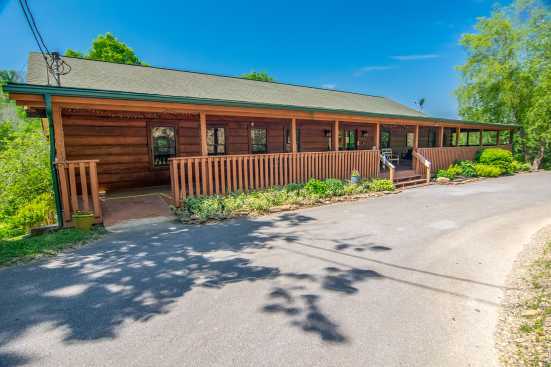 Smokymountainsbyowners.com is the best and most efficient way to find, plan, and book your Crest View cabin rental property in Tennessee. SMBYO.com aims to take the hassle and stress out of planning and booking your vacation rental property. Use the Email Owner button to book!